As the trailer of Tumbbad begins, we see a family leaving Tumbbad and they say "Sarkar mar gaya" (Sarkar is dead). The two and a half minute trailer delves into the story of the film. We are told that the old palace has a treasure buried and the boy from the family believes that they are the rightful owners of the same. The gates are unlocked and the mayhem unleashes. Many have been hunting this treasure but so far, no one has come close to it. It is hinted that the treasure is protected by a ghost. In a screechy voice we hear, 'One shouldn't claim everything that they inherit’. The motivation here is greed and no amount of fear can defeat the hunger that these characters possess for gold. Many are swallowed in by this greed for the treasure and not all come back alive. The visuals here are haunting and set up the premise for an intense horror thriller. 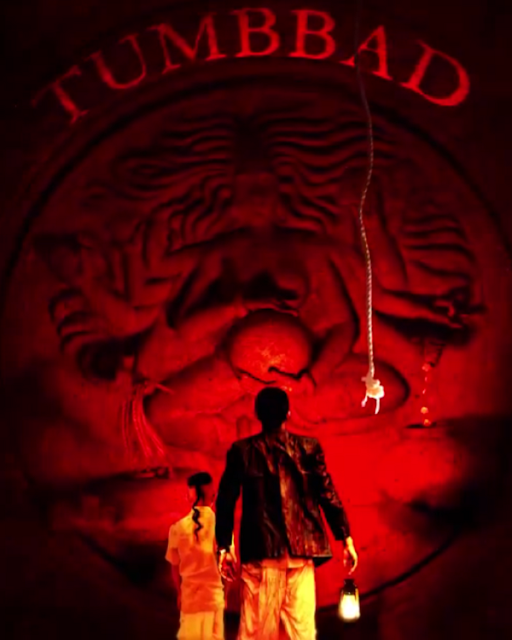 Earlier in the teaser of Tumbbad, we heard the mythological tale that forms the backbone of this horror film. Directed by Rahi Anil Barve, Tumbbad stars Sohum Shah, Jyoti Malshe, Dhundhiraj Prabhakar Jogalekar, Anita Date, Deepak Damle, Ronjini Chakraborty and Mohammad Samad. The film is produced by Sohum Shah, Aanand L Rai, Mukesh Shah or Amita Shah.